I have seriously lost track of how many rumored photos, release dates, and pricing stories I've read regarding the Samsung Galaxy S3, and in all honesty, they (Samsung) either need to just release the device already or give us some solid information in regards to its release. But according to new reports from Unwiredview and their "respectable source“, it seems that 10 million units of the device have already been pre-ordered by partner companies. They are also "betting“ on a release in the second half of May, meaning that according to them, we could see a release in the next 6 weeks. But what's really interesting is that it's being speculated that the Galaxy S2 ICS update will be a major factor in determining just when Samsung's new flagship device will be released. But what could that possibly have to do with the Galaxy S3's release? A report in Pop Herald speculated that before Samsung can release the Galaxy S3 in all its glory, they will FIRST need to update ALL Galaxy S2 devices to Android Ice Cream Sandwich. This strategy actually makes a lot of sense when you think about it. Manufacturers for the most part keep their focus on newer devices, in essence forcing customers to upgrade to a new device if they want the best experience software wise. 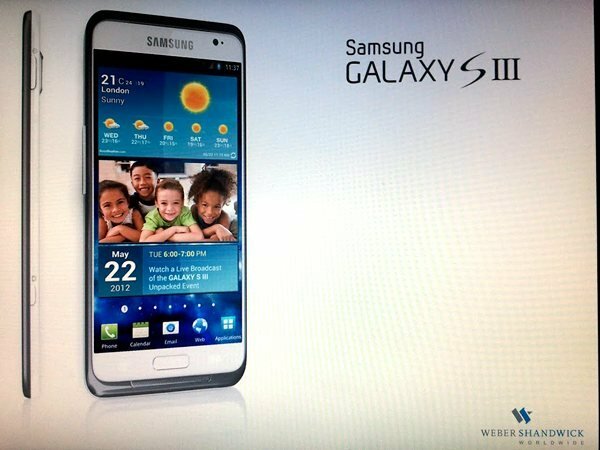 By completing the ICS update to the Galaxy S2 BEFORE releasing the GS3, it could play a big part in demonstrating to consumers that Samsung doesn't abandon their customers. Not a bad strategy Samsung. But a big problem with that strategy is that in the US, nearly all carrier locked customers are still waiting for the ICS update, meaning that the updates would need to be completed in the next 6 weeks for the entire strategy to make any sense. For me personally, and what people aren't talking about too much, is that Samsung may be delaying their release due to the iPhone 5, as it's also being speculated that it we could see a release in May or June. Whatever the reason, consumer mouth's are certainly watering when it comes to the Galaxy S3, and if this information is accurate, you might finally recieve a taste in the next 6 weeks. More details to come as they arrive. My self logo is s3..
and I'm waiting for galaxy s3.. I agree, Samsung should just release some concrete information. And also, it is good that they care enough about the customers to release the S2 ICS update first, good on them!